The Occasions Catalog run is winding down: Many products from this catalog will only be available until June 1, 2014! Yes, some of them will be carried over into the new 2014-2015 Annual Catalog, debuting on June 2nd, but that is not the case with everything. So if there's something you think you can't live without, make sure you get your order in by June 1st! One of my most favorite stamp sets in the Occasions Catalog is called Hello, Sailor. It's so cute! It has awesome nautical images and sentiments. This little whale is so cute! 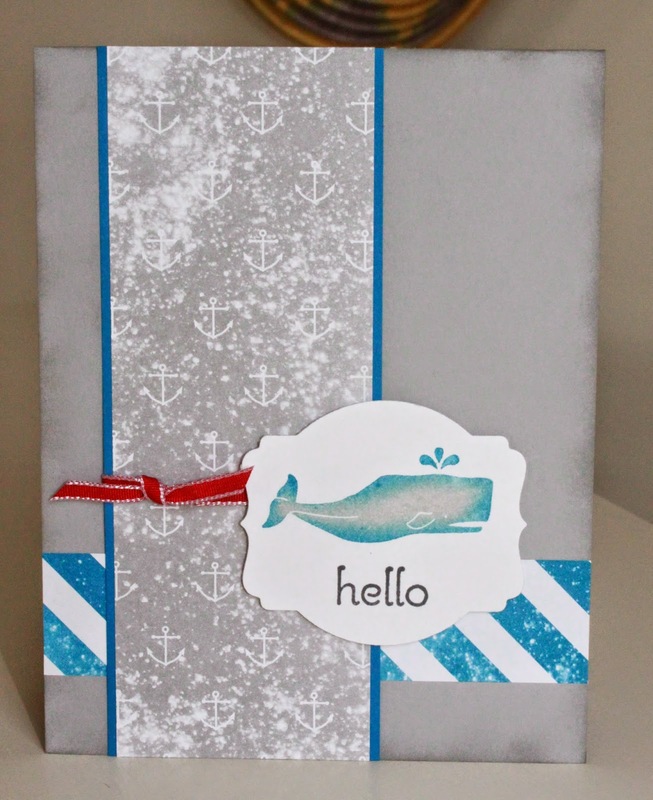 I also used the High Tide DSP, which coordinates perfectly with the stamp set. It has some really unique and beachy colors and motifs, but I chose to go with a more traditional palette of red, white, and blue, with some weathered gray. Specifically, I used Pacific Point, Real Red, and Smoky Slate. On the card base I used a Stampin' Sponge to ink around the edges to echo the distressed feel of the DSP. 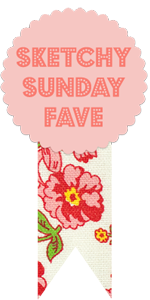 Oh, and the sentiment is from A Dozen Thoughts - it's definitely my favorite sentiment set right now. So... I guess that's it for now. See you again soon - have a great week!